RVnGO is America's best marketplace to find RVs to rent in North Carolina. Find your RVnGO! 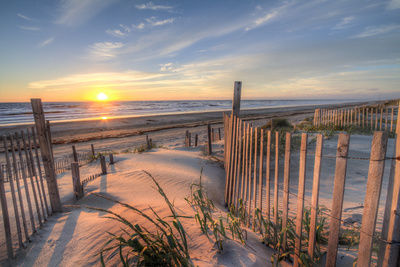 The Outer Banks are barrier islands which separate North Carolina from the Atlantic Ocean. Roanoke Island is famous for being Englandâ€™s first settlement in the New World. The open-sea beaches are a gorgeous backdrop and prevalent spots for RVers to visit. With campgrounds close to the hills, you are granted a private view of the vast Atlantic from the solitude of your RV rental in North Carolina. May to September is the most popular time for a visit to enjoy the warm beach weather. The region is brimming with outside activities including angling, cruising, and windsurfing, as well as many lighthouses to explore. No shortage of events to attend, there are fun festivals of art, boating, film, food, kites, pirates, and music in the Outer Banks. Across the river from downtown Wilmington, the Battleship USS North Carolina is moored. Resting in quiet dignity and majesty, the World War II Battleship was decommissioned in 1947 and bound for scraps when the people of North Carolina began a crusade to have the ship saved. Their triumph prompted the war vessel's 1962 landing in Wilmington. Guests are welcome to visit inside, stroll on the decks, and on rare days, witness the discharging of the firearms. Make sure to camp at the Carowinds Camp Wilderness Resort when going in your RV rental in North Carolina to Charlotte. The campground has easy access to Carowinds Amusement Park, where you can appreciate a variety of rides and exciting activities for the whole family. It has 142 accessible full hookup destinations with BBQ pits, tables, and space for slideouts for your trailer rental North Carolina. Services and pleasantries include a swimming pool, game room, open-air amusements, recreational corridor, shuffleboard, staple goods, laundry area, restrooms and showers, and 24-hour security for a camper rental North Carolina. Appreciate the advantages of staying at the Carowinds Camp Wilderness Resort, for example, free transport to the amusement park, and reduced tickets for visitors. Drive your RV rental in North Carolina to Raleigh and appreciate a stay at the Raleigh Oaks RV Resort and Cottages. Recently remodeled, it has 150 accessible all-climate full hookup spots with tables, fire rings, and space for slideouts. Services and courtesies include a swimming pool, whirlpool, horseshoes, mini golf, pickleball, play area, open-air amusements, game room, play area, recreational hall, wi-fi web, digital TV, RV stockpiling and supplies, restrooms and showers, laundry area, and complimentary breakfast for your travel trailer rental in North Carolina. Raleigh Oaks RV Resort and Cottages is open to enjoy any time of the year. With excellent location, the Greensboro Campground KOA is found only a couple of minutes from the downtown region for RVers going in their RV rentals in North Carolina to Greensboro. It has 41 accessible full hookup destinations with flame rings, tables, and space for slideouts for your North Carolina campervan rental. Services and conveniences include a swimming pool, structure, play area, game room, nature trails, outside recreations, horseshoes, goods, wi-fi web access, laundry area, restrooms and showers, RV stockpiling, and self-serve RV wash for your RV rental North Carolina. All the comforts you need are at the Greensboro Campground. A festival of Wilmington's history, culture, gardens and fabulous fine art, the North Carolina Azalea Festival" target="_blank">North Carolina Azalea Festival is a 4-day riverfront event which began in 1948. Celebrate Spring Southern style - every year, in mid-April, the largest event of its kind in the state puts on big-name entertainment, galas, family fun and hospitality to showcase the charms of the area. It includes a dynamite parade, arts and craft merchants, pageantry, home and garden tours, races, fireworks, culinary delights, and significantly more! Don't miss out on this North Carolina celebration! A fascinating celebration in North Carolina, the North Carolina Pickle Festivalpays tribute to the farming legacy of the town of Mount Olive, which is home to the Mt. Olive Pickle Company. Started in 1987, this two-day occasion held in the downtown region of the town each April includes live music and dance exhibitions, treasure hunts, pickle derbies, Tour de Pickle Bike Ride, helicopter rides, car show, fair rides, pickle eating contest, chili cookoff, petting zoo, and obviously, bunches of pickles! Appreciate a drive in your travel trailer rental to North Carolina to find more about the â€œTar Heel State.â€ From the mountains to the ocean, there is something for all to see. Book that RV now at RVnGO and be on your way to a great vacation!